Sometimes you just need to unplug, take some vacation, and not answer any SproutMark reports. We've got you covered! SproutMark won't send you any emails while you're out, and your manager will be told that you're away. 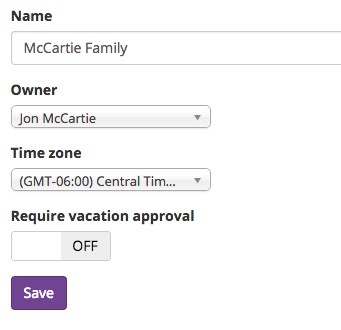 Now, when a vacation date is entered by a team member, they'll see "Waiting for Approval..." for their vacation date. You'll get an email asking you to Approve or Decline the dates. And finally, what good is storing vacation dates if you can't keep track of who's on vacation or not?! Click the "Subscribe to Calendar" link in the "Vacation" area for a calendar feed. 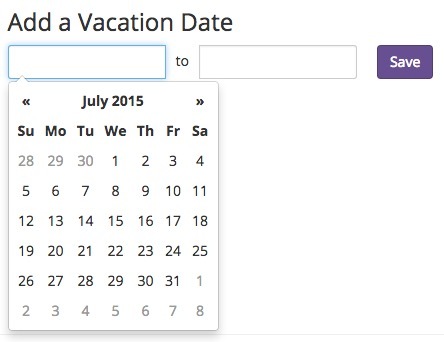 Everyone's vacation dates will be sync'd to your calendar and you'll be able to tell who's away.